Three best-selling products from our Cornish Seaweed range, handmade with organic seaweeds collected from clear Cornish waters. 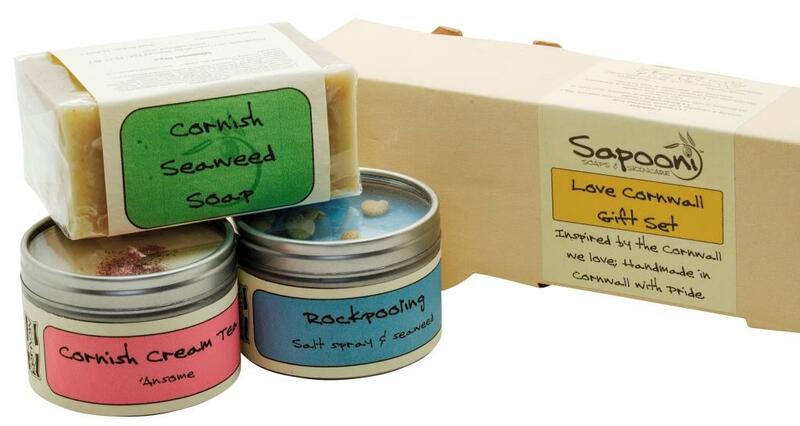 This lovely Cornish Seaweed gift box contains three best-selling products from our Seaweed range, including our Award-Winning Cornish Seaweed Soap. 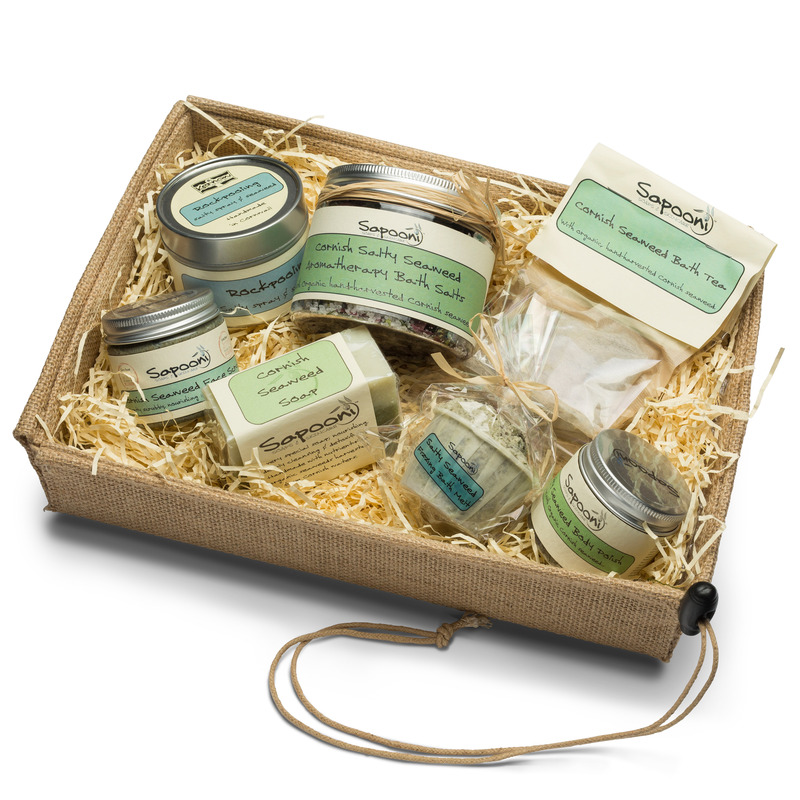 All the products are handmade with a blend of organic seaweeds, hand-harvested from the clean, clear waters around the Cornish coast. 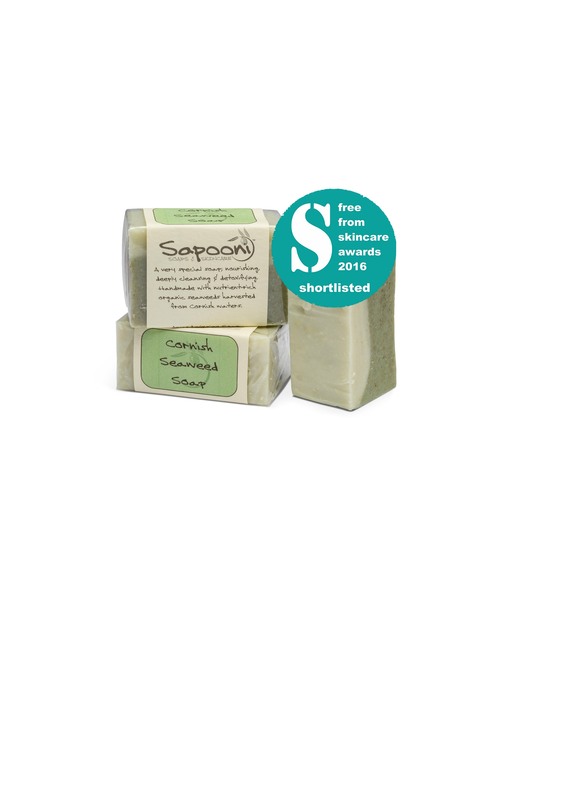 Cornish Seaweed Soap; This Award-Winning soap has been a big hit with our discerning customers. We use a combination of seaweeds including Bladderwrack, Kombu, Dulce, Nori & Sea Lettuce. 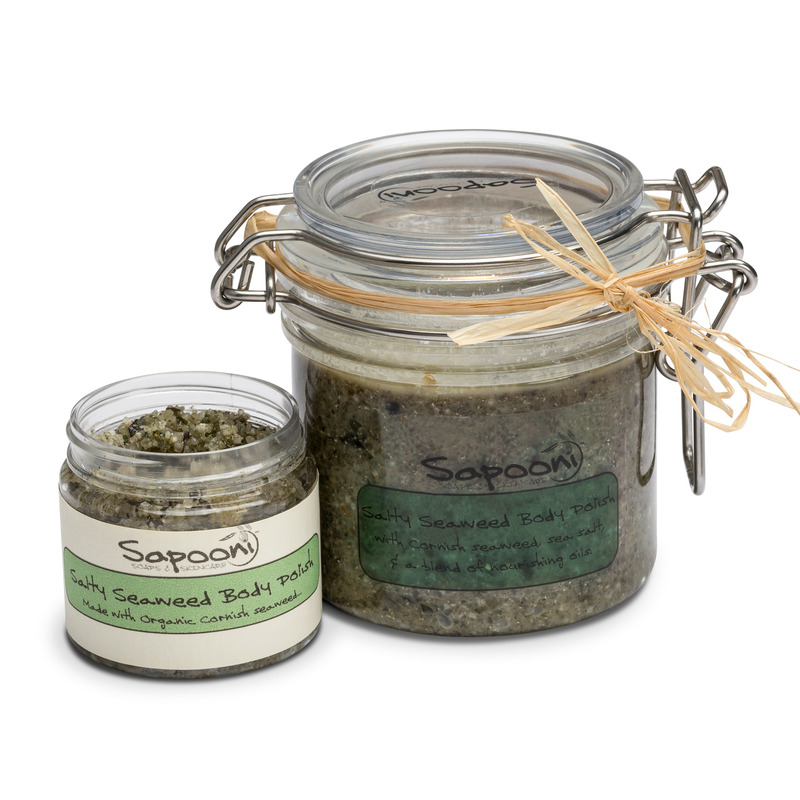 We gently infuse the seaweeds in water to release all those lovely skin-nourishing ingredients. Once infused, we add both the infusion and the chopped leaves, to capture all their goodness. 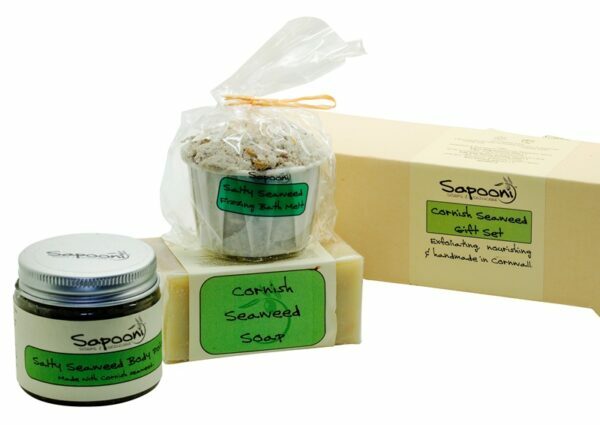 The finished soap is gentle, natural, and has a rich creamy lather. 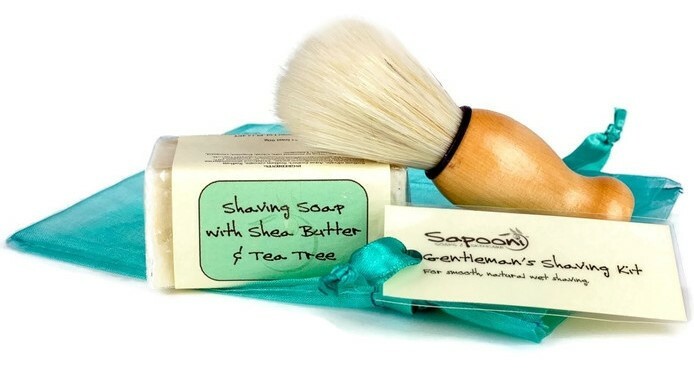 It’s also great for both sexes, as it has a fresh, invigorating scent from the blend of natural essential oils we use. 100g e bar. Salty Seaweed Body Polish; A fabulous scrub for detoxing the skin! We use a selection of seaweeds which have been hand-harvested from the Cornish coast. The selection changes with the seasons, and may include Nori, Dulce, Sea Lettuce, Kombu and Bladderwrack. Made with a selection of sea salts, including a sprinkling of salt from Cornish waters, bound together with a blend of deeply-penetrating oils and butters including Mango butter, Sweet Almond and Olive oils. Green & white clays gently draw out impurities. 90g jar. 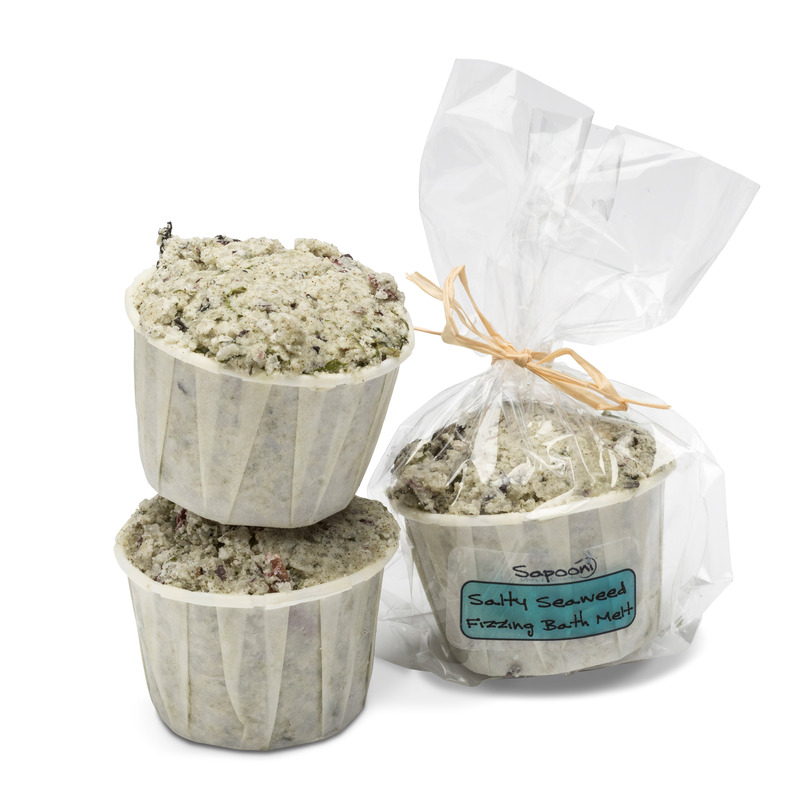 Salty Seaweed Fizzing Bath Melt; Bring a little bit of the Cornish seaside to bathtime! Made with our blend of hand-harvested Cornish seaweed, we’ve added a sprinkling of seasalt from Cornish waters. A carefully blended a selection of natural essential oils to give a fresh, uplifting scent, and oodles of cocoa butter & shea butter will leave your skin feeling really soft and pampered. 70g.